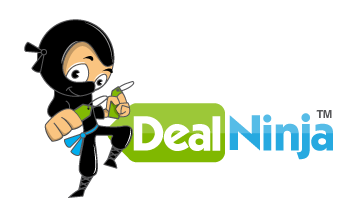 At Deal Ninja, our goal is simple: to save you money on the things you love. We want to feature articles that are relevant and informative to your shopping experience. We all know there are deals out there, but it’s hard to keep track of all them. That’s where we step in, we’ll provide the best deals all in one place from over 1,000 retailers! Although, we are just starting, we have our customers in mind on every decision we make. We are in the same position as all of you. The news says the economy is getting better, well, we just don’t see it that way. We all know someone who still doesn’t have a job and those of us that do are trying to pinch every penny. With that in mind, we want to feature articles on all kinds of subjects which will help you make better shopping decisions. This blog is dedicated to empowering you with knowledge so you don’t waste money and never pay retail prices again. Is there something you want to know about? Let us know and we’ll do the research and write about it. If we’re helping you, then we’re probably helping a lot more people. Stay tuned for our articles. This is just the beginning of a good thing! Posted on February 25, 2012, in News and Announcments and tagged Deal Ninja, deals, Laptop, Retail, sales, saving, shopping, Television. Bookmark the permalink. Leave a comment.